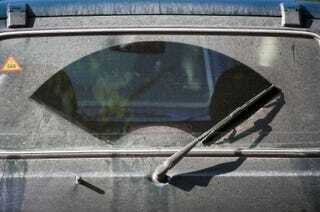 What are your favorite windshield wiper blades? The time of year is upon us- springtime which brings showers, thunderstorms, and brown lawns. This week we're having nothing but a constant supply of vertical water, which inevitably pools on our precious tarmac and makes for dangerous driving. Furthermore, if you can't clear the water from your vision, you may be the cause of everybody's favorite rush-hour backup which brings me to my question: What is your favorite windshield wiper blade? Michelin? RainX? Bosch? PIAA? Valeo? Let me know your thoughts.